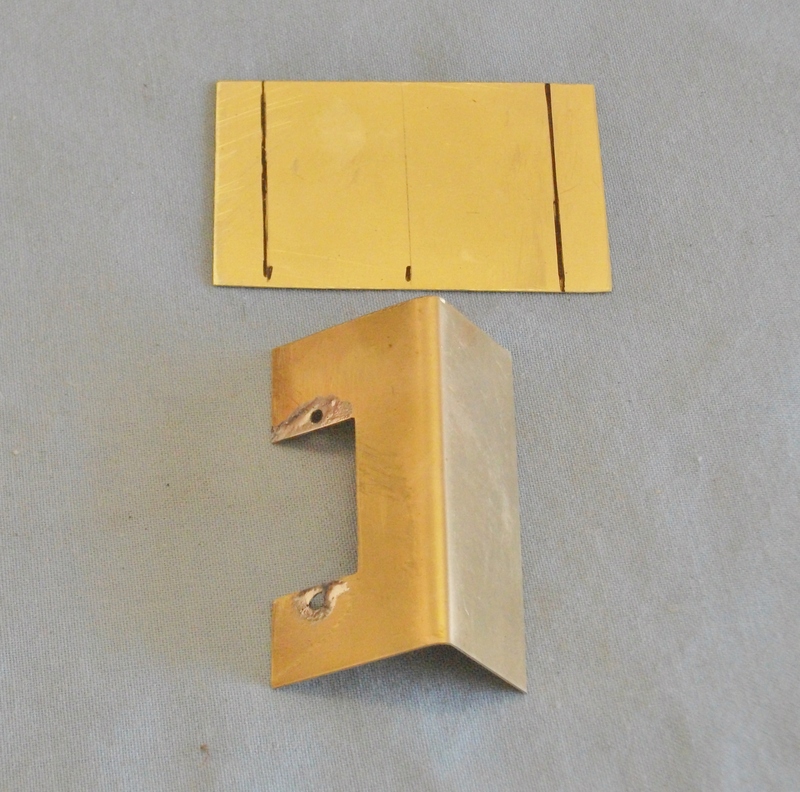 The servos which came with the bouncing mechanism from G F Controls in the UK need brackets and are made up of .015” brass sheet from K&S. 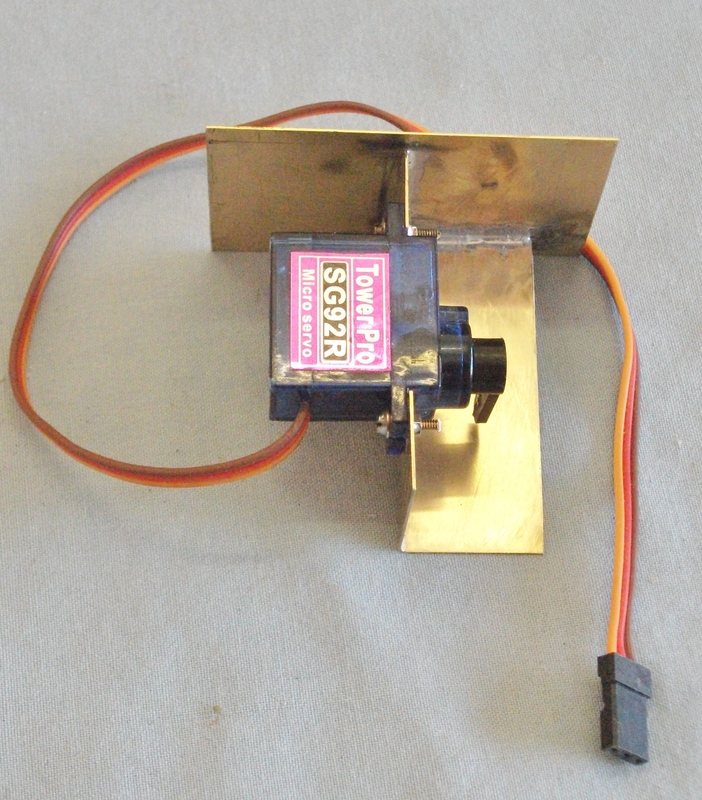 The size of the bracket depends on the piece cut out of the layout to accommodate the servo, in this case 45mm x 35mm. 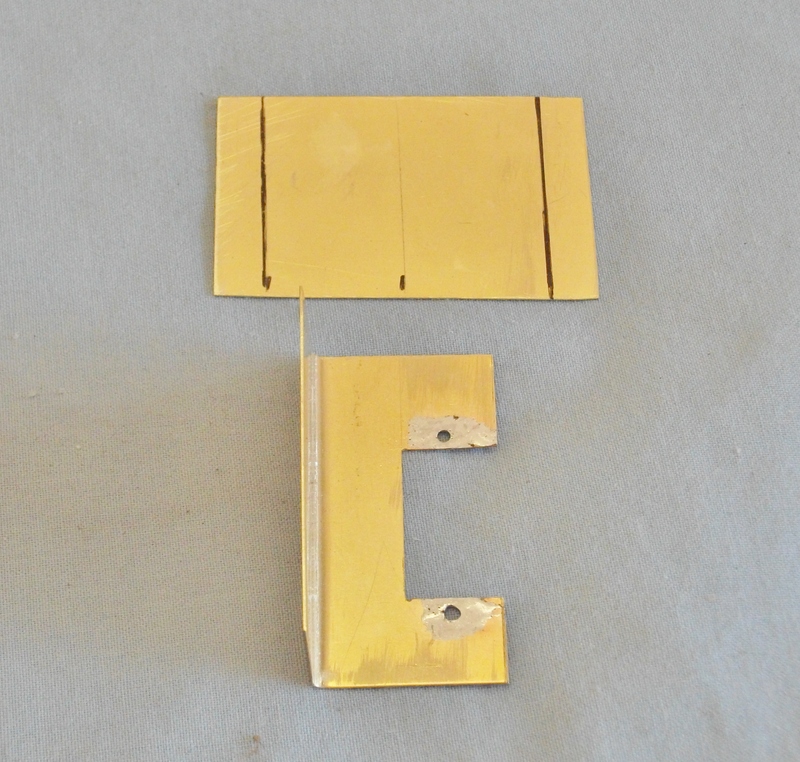 The brass sheet is bent 90 degrees and measures 25mm x 20mm x 50mm in length. Next a section is cut out to accommodate the servo then 2 holes are drilled to take 10BA cheese head bolts with the servo in place. The top is 55mm x 35mm. 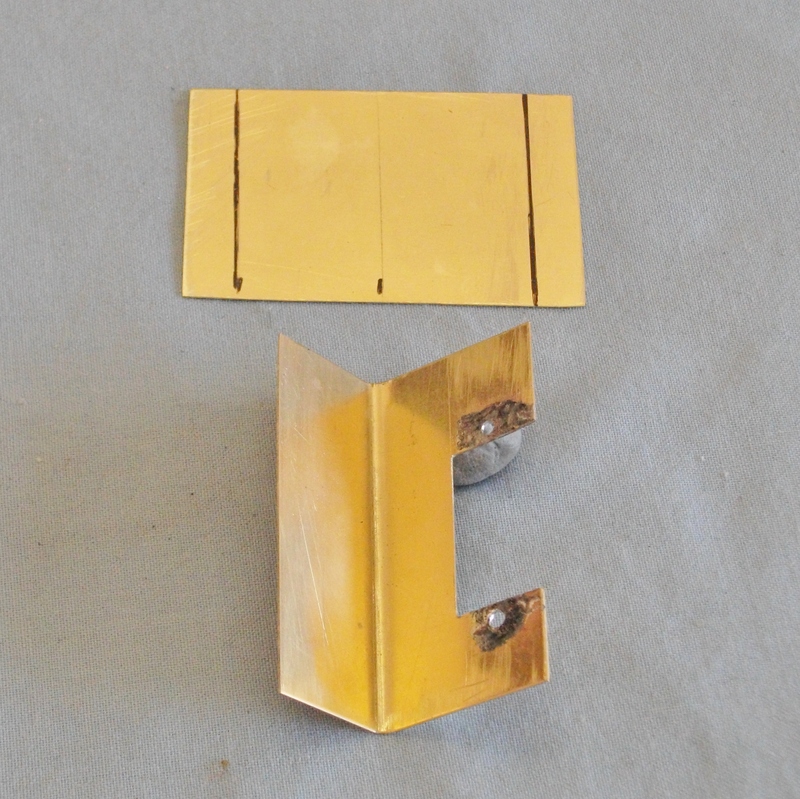 The top is then soldered onto the angle making sure it is square and straight. Attaching the servo is done very carefully. 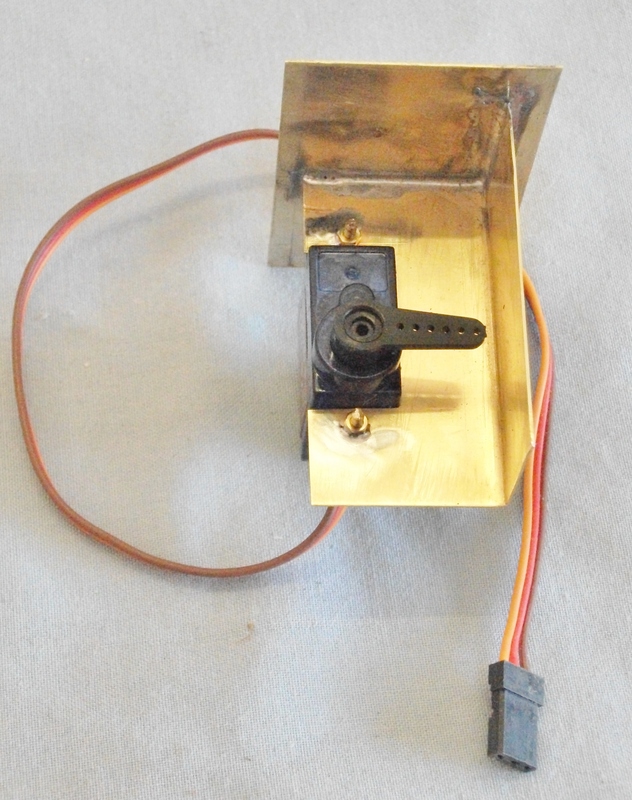 With the 10BA bolts attach the servo to the bracket and using the 10BA nuts bolts and washers tighten the servo to the bracket, then quickly solder the nuts to the other side of the bracket. I have done it this way because down the track the servo might need replacing. I hope I have explained the procedure so far.This exercise has indeed been a learning curve with a couple of burnt fingers, ah well the joys of modelling! The new Gordon Gravett book ‘Modelling Grassland and Landscaping Detailing’ arrived today from Titfield Thunderbolt UK, plenty of good reading here. This entry was posted in The permanent way (track, signals, turntables etc) and tagged ba. Bookmark the permalink. Might be a bit late, There a couple of us heading back from Sydney on Sunday, Wondered if we may call in. Not sure what day you will be at the show. Might catch up with you on Saturday if you go that day, otherwise send me an email tonight so we can exchange phone numbers to discuss. 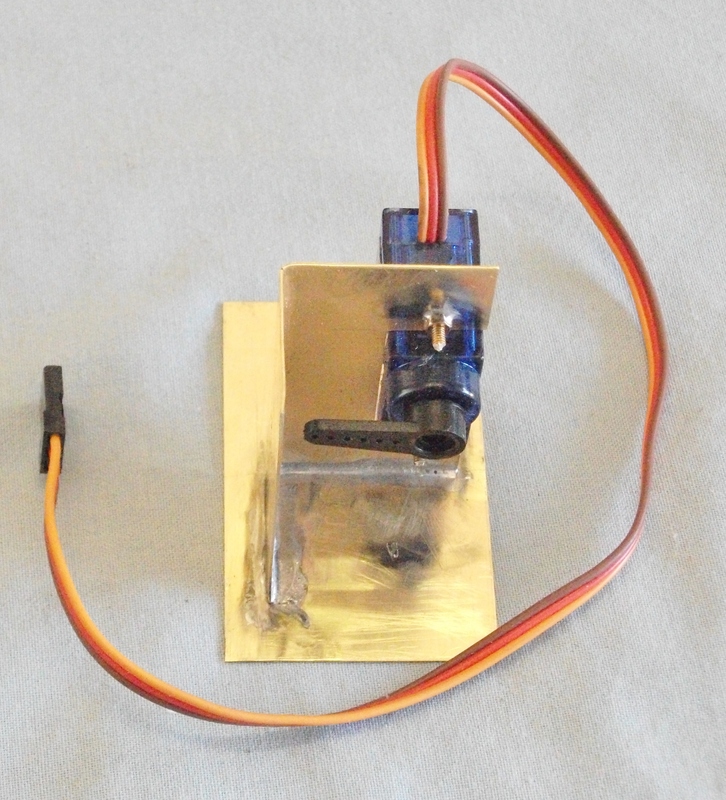 On my signals, I make the base to the signal as small as I possibly can but still big enough for one of the smaller servos to pass through it (I also use Towerpro SG90s). I can get this down to 17.5 * 33.5mm. I then make the permanent base plate that acts as a mount for this that is screwed to the baseboard. The signal and its base can then be offered up to this. This enables the signal to be left there semi-permanently but still capable of being taken out for maintenance. I wrote a couple of articles on it in Rail Express (Oct/Nov 2012) and you can see these here http://www.clag.org.uk/tatlow-signalling.html. The rest of the CLAG site is very good too, if you do not know it.